En regardant les reportages sur Cancun à la télévision ou en réfléchissant sur la Conférence de Copenhague, je suis frappé par la différence qui existe entre la recherche scientifique d'aujourd’hui et celle du temps d’Humphry Davy* et de son travail admirable sur les désastres des mines de charbon au nord de l'Angleterre au début des années 1800. Afin de trouver des solutions à la fois pratiques et économiquement viables pour l'amélioration des terribles problèmes de sécurité dans les mines de charbon, Sir Humphry Davy descendait dans les galeries pour parler directement avec les mineurs. Il est aussi intéressant de noter que Davy n'a jamais breveté son invention, dite la lampe Davy, seul la Médaille Rumford lui a été décernée pour ses travaux de recherche exceptionnels. Aujourd'hui, à l'époque du “savoir instantané”, nous voyons des diplomates mesquins s'interroger : le changement climatique prend-il racine à l'époque de la révolution industrielle? Faut-il taxer les pays en voie de développement utilisant le charbon au nom de l'évolution climatique? A mon humble avis, ces questions sont mal posées. Il convient plutôt d'apporter des solutions collectives à ce problème sérieux en tant qu'être humain. Ces solutions ne résident pas simplement en termes de fiscalité, de responsabilité nationale, d'approvisionnement en combustible ou carburant, etc., mais dans une véritable reconnaissance de l'impact que le changement climatique aurait sur l'homme et que l'humanité partage. La vraie interrogation consiste donc à se demander comment faire pour agir, pour prévenir afin de sauver des vies et aussi de minimiser les dégats dans les zones dévastées quelque soit le lieu où elles se trouvent. Les sciences, en fait, doivent appliquer de nouvelles méthodes afin de mieux résoudre les problèmes associés à l'agronomie de demain et à l'urgence des situations de catastrophe. De nouveaux matériaux de secours liés à l'installation de logements temporaires devront être développés ; des systèmes de contrôle et de prévention des inondations, la conservation et la réutilisation de l'eau et enfin la remise en état des infrastructures devront être prioritaires. En outre, nous devons éduquer et préparer le grand public dès maintenant aux réelles difficultés qui seront provoquées par le changement climatique, comme des bouleversements sociaux inattendus et des souffrances humaines qui en découlent. Le changement climatique n'est pas un sport passif ! C'est réellement une menace pour nos sociétés qui se veulent humaines, solidaires et bienveillantes. En tant qu'individus ou organisations, nous devons être actifs et exiger nos acteurs politiques des actions, de l'éducation et des prospectives. Des discours basés sur l'ignorance de la Science et l'absence de vision devraient être balayés. * Sir Humphry Davy (1778 -1829) est un chimiste britannique. Il isola le sodium, le potassium, le baryum, le strontium et le calcium grace à l'électrolyse en 1807 et 1808. Il est également l'inventeur de la lampe de sécurité à toile métallique pour les mineurs, dite lampe Davy, pour la prévention des explosions dues au grisou ou au poussier. UNTIL the air began to clog and burn, the rivers turned to sludge and desert sand began to sift into the streets of Beijing, China's people did not much care what Mao Zedong's great leap into industrialisation had done to the motherland. Pollution did not happen in socialist countries; it was a Western, capitalist evil. But Liang Congjie noticed. He realised he no longer saw the blue skies of the Beijing of his boyhood, or the courtyard trees he had loved to climb. In the rugged south of Shanxi province, the water in the mountain streams was now black with coal dust and undrinkable. As a historian Mr Liang was a traditionalist, sighing sometimes that nothing could surpass the wooden temples of the Tang dynasty; by breeding he was a preservationist, the son of a distinguished architect who had famously sat weeping on the medieval walls of Beijing the night before Mao's bulldozers demolished them. Some were inclined to think that Mr Liang was less than committed to China's progress. But he was determined that China should surge forward armed with green sensibility, and a green heart. Friends of Nature, founded by him in 1994 with three colleagues from the Academy for Chinese Culture, was China's first legal NGO and the first committed to protecting the country’s environment. At its inaugural meeting it drew 60 members; there are now around 10,000. As Mr Liang proudly said, it was for everybody: housewives, students, food-sellers in the market, even workers from the Capital Steel Corporation factory where Mr Liang, each January, would gather snow in plastic bottles to show schoolchildren the little black specks of pollution in it. Though based on Western organisations he had seen on television, Friends of Nature was less a lobbying outfit than a club, whose members would go tree-planting, camping and chorus-singing to spread the green message through the land. In the main Beijing office, a homely red-painted house in a courtyard littered with bicycles, visitors would be handed staff cards printed on recycled paper and given metal reusable chopsticks, together with a lecture on how much of China's virgin forest was disappearing for wooden chopsticks every year. Here, among countless papers and the relentless tap of computers, Mr Liang would be working away in shirt and casual slacks, never raising his soft voice, modest as ever. His bike was among the others outside. He came to his cause when he was past 60, a dignified figure with greying hair. Most of his professional life had been spent unremarkably, teaching history in universities and compiling a 74-part encyclopedia of China. His family background-American-educated parents, a grandfather renowned as a reformer under the Qing dynasty-made him suspect during the Cultural Revolution, and for nine years he was forced to teach in a cadre school in rural Yunnan. But he was slow to radicalise, and cautious even as his radicalism grew. Not for him the prison or martyrdom route. Instead he joined the right committees, especially in the Chinese People’s Political Consultative Conference, and used his connections to persuade the government and the media to listen. This was delicate work. In China, he always said, there was no point in the sort of dangerous and eye-catching stunts favoured by Greenpeace. He indulged in one or two, handing a letter to Tony Blair, on a visit to China in 1998, to petition him to help save the Tibetan antelope, or bringing in secret cameras to record illegal logging in Sichuan. State goons kept a bit of an eye on him. But in general his campaigns were conducted in an orderly Chinese manner. You did not criticise your parents; instead, you helped with the housework. Similarly, you did not attack the government; instead, you reminded it that there were laws already on the books to protect the land, the water and the air, and offered to help enforce them. Within these self-described limits, Mr Liang and his NGO notched up several famous victories. He managed to stop the cutting of virgin forest (and the destruction of golden monkey habitat) in Yunnan province. With others, he killed proposals to build giant dams on the Salween river and in one of the most spectacular gorges of the Yangzi. The Tibetan antelope, hunted almost to extinction for the fineness of its fur, remained his favourite cause, and he went to the icy plateau to burn sequestered skins himself-though, to his sorrow, he could not stop the disbanding of the heroic anti-poaching brigade and the transfer of patrols to corruptible local officials. He was sure, he said diplomatically, that the government would do all it could. 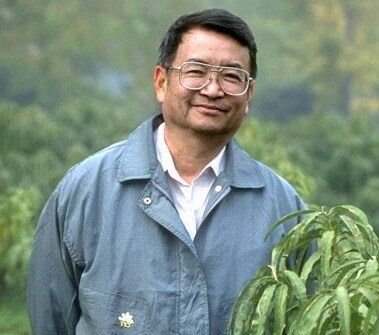 His proudest achievement, however, was to start environmental awareness in China. Where FON led, some 3,000 NGOs have followed. His “Project Hope” sends out buses, painted with an antelope, to rural villages, to teach schoolchildren to treasure flowers, streams and woods. His bird-spotting book encourages residents of Beijing to look out, through the still-smoggy air, for egrets and kestrels. “Mr Liang's heart, very sensitive, very soft,” wrote a sad Chinese blogger after his death. All hearts should be so soft, he would have said, the better to plant green seeds in.